State Senator Patty Ritchie is announcing she has secured $10,000 in funding to help students become more career-ready through “GPS for Success,” a program that helps connect individuals with information on potential paths to employment in industries looking to hire. Made possible through a partnership between Jefferson-Lewis BOCES, WPBS-TV and the Northern New York Community Foundation, GPS for Success provides young people with opportunities to watch, read and learn about possible careers, income potential and educational or training requirements for a variety of employment opportunities. GPS for Success focuses on industries experiencing a shortage of workers and currently offers information on a variety of potential careers in agriculture, manufacturing, health care and education among others. 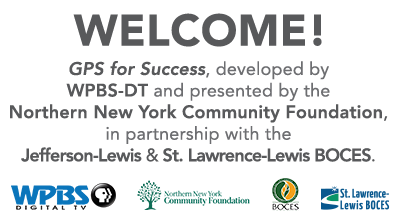 More information on the program can be found on its website, www.mygpsforsuccess.com. Funding secured by Senator Ritchie continues her efforts to help local students become more career-ready. Most recently, Senator Ritchie delivered over $12,000 to enhance programs focused on making more young people prepared for careers in the science, technology, engineering and mathematics—or STEM—fields.